Once in a while you find a treasure….a place that takes your breath away…surrounded by beauty..where you can truly escape it all. 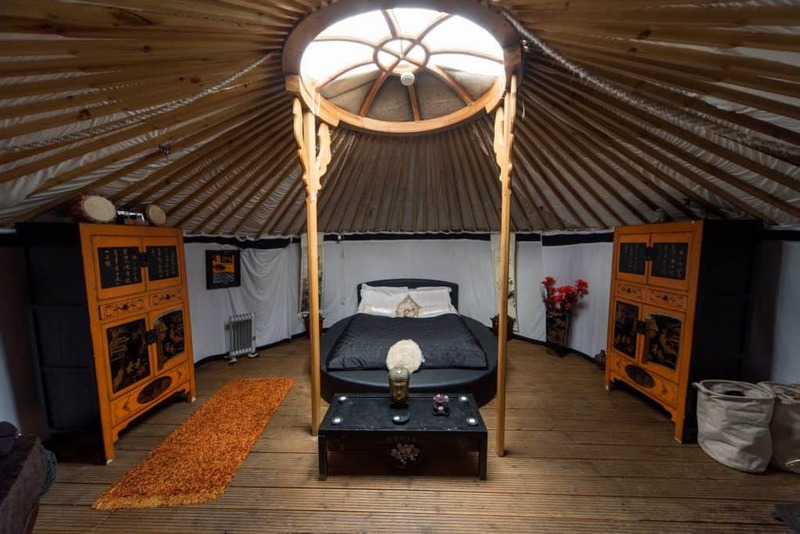 I found that place recently – it was called Lincoln Yurts. 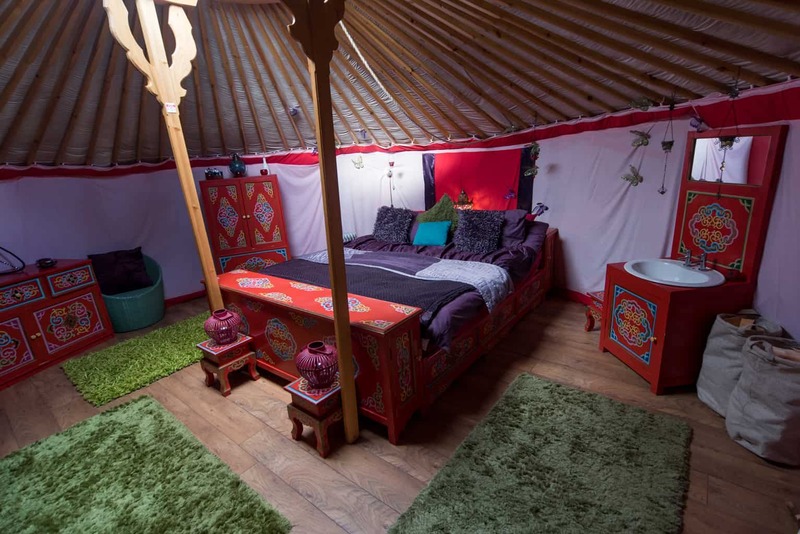 Located in the middle of the Lincolnshire Wolds, in an 11 acre equestrian farm, Lincoln Yurts offer only a small number of places to stay – 5 authentic Mongolian themed yurts which will take your breath away. In order as feautured: Balinese, French, Gothic, Mongolian and Oriental. We stayed in the Balinese Yurt which was an exotic paradise compete with a stunning 125 year old hand carved rosewood wedding bed and this was the centerpiece of the Yurt, which was an absolute show-stopper. 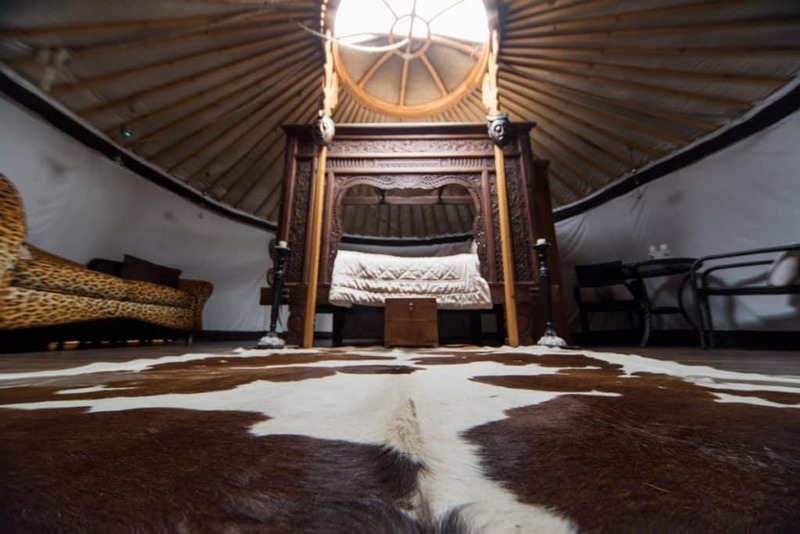 With no electric and lit with over 40 candles and heated with a wood burner if so needed, it was the perfect place to unplug from the hecticness of daily life. 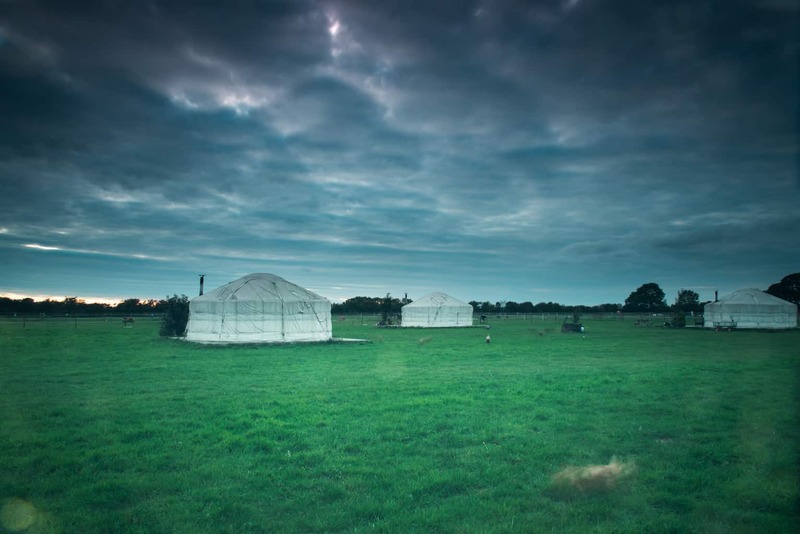 Amazingly the yurts keep you cool during the day and warm enough at night, all against the backdrop of breath-taking sunsets, amazingly never-ending painted skies and super friendly chickens. Every night we unwound by setting up a fire in the fire pit, sipping on a hot chocolate whilst watching the sun dipping down into the fields – bliss. 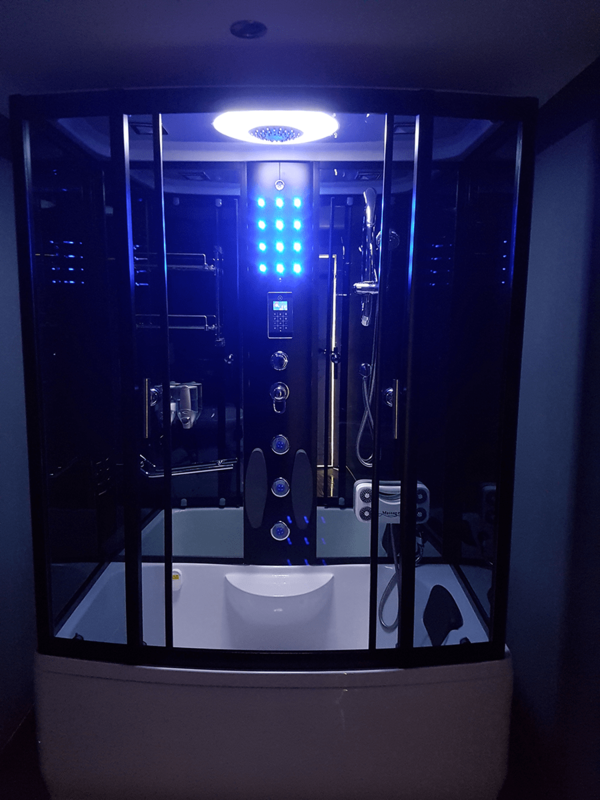 And then there were the showers – holy moly – your own bathroom in a separate unit containing a futuristic shower complete with steam and massage function – incredible! Although we went as an escape just the two of us it’s also a great place for families where children can run free and wild and make their own fun. Our hosts Darren and Kath were salt of the earth people and the place excuded their warm and welcoming vibe. 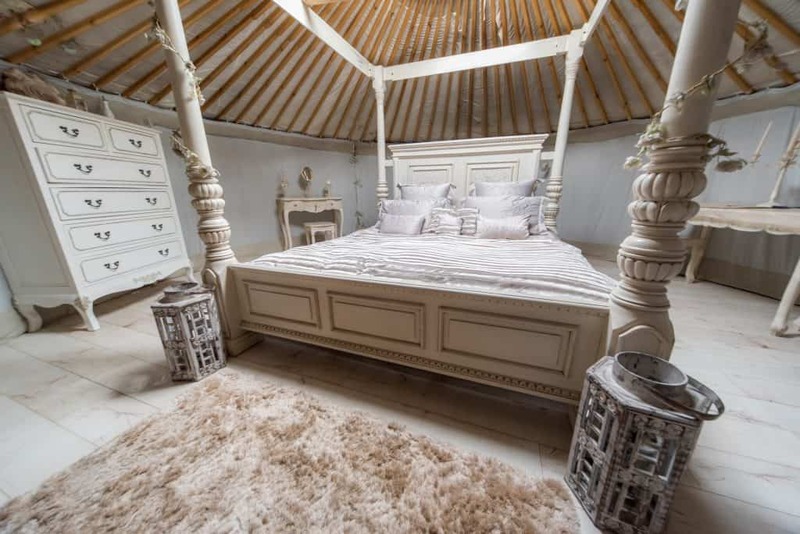 Nothing was ever too much trouble and they ran everything to the highest standard and you could even order breakfast down to your yurt in the morning if your heart so desired. Glamping at the Lincoln Yurts is truly an unforgettable experience which ignites your soul and calms your entire being. And that’s an understatement! Disclaimer: this review is in no way sponsored I just had to write about it because it was so wonderful! I have never been a fan of camping, but I could be persuaded to try glampig, as it looks almost luxurious! Now that’s my type of camping! 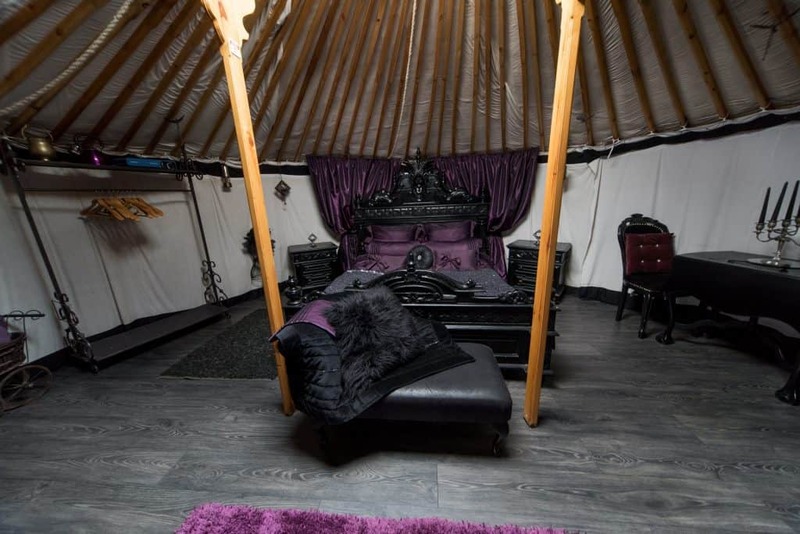 I was reading and looking at the pictures of tents and thinking “yeah, but you still have to go to a toilet block” and then you mentioned the shower, now I’m on board! Not sure I’m brave enough to go now the sun has disappeared but bookmarked for next summer, or maybe a spring weekend. Beautiful! such a beautiful site for adventurous activity. I love to camp in beautiful peaceful place and spend glorious time camping in the mountainous region.